The main demo of the theme with featured posts and alternative list layout. Viral magazine with bold colors, typography, and list archive layout. Car and bike news website with darker color scheme and full post layout. Technology-related news blog with modern typography, colors and post archive. 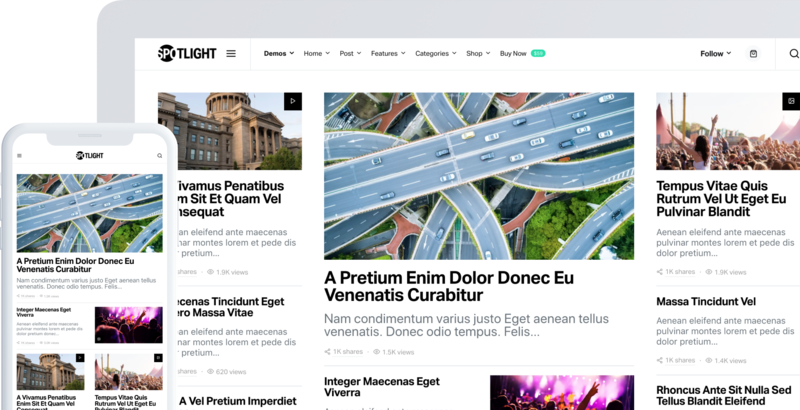 Traditional news magazine with clean serif fonts and alternative post list archive layout.